Although Pennsylvania law protects consumers from being defrauded by auto repair shops, thousands of people are still taken advantage of every year. In these cases, it is critical to speak with an experienced repair shop fraud attorney who can ensure that you are compensated for your losses. What Qualifies as a Repair Shop? Performing maintenance service on vehicles. This includes auto body shops, as well as retail stores that offer automotive services and dealers who provide repairs and services. However, the definition does not cover city and state agencies, or any businesses that repair, service, or maintain vehicles for the use of their employees. Giving customers a detailed bill that itemizes the charges for parts and labor. The labor charge for the repair work, including the number of hours worked, the price charged for each hour, and the total amount. Repair shops that do not comply with these rules can be held accountable for their actions in court, where the injured parties can collect damages totaling up to three times the amount of their actual losses. Even vehicle owners who use great care when choosing a repair shop to service their vehicles can end up being defrauded. Fortunately, these companies can be held accountable in court, so if you took your car in for repairs that were not made, or you were overcharged or not notified that the replacement parts were not new, you could be eligible for damages. 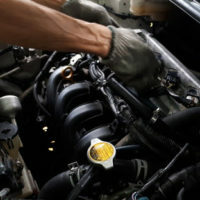 To learn more about your rights, please call experienced repair shop fraud attorney Louis S. Schwartz at CONSUMERLAWPA.com. Initial consultations are conducted free of charge, so please don’t hesitate to call or contact us online.